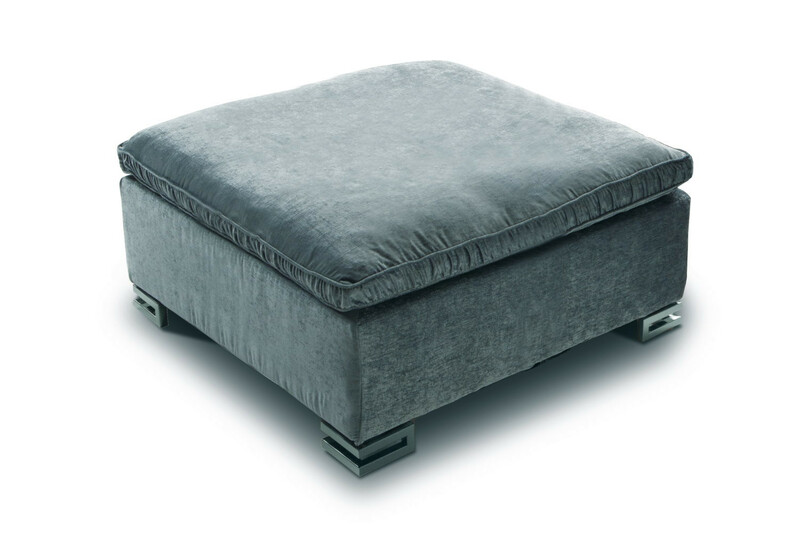 Garrison is a made in Italy upholstered square ottoman with weaved or tight edges and refined feet. Ideal combined with the same name sofa or by itself. Garrison is designed to be combined with the sofa and sofa bed from the same collection, but it is also perfect to be used as a stand alone piece. 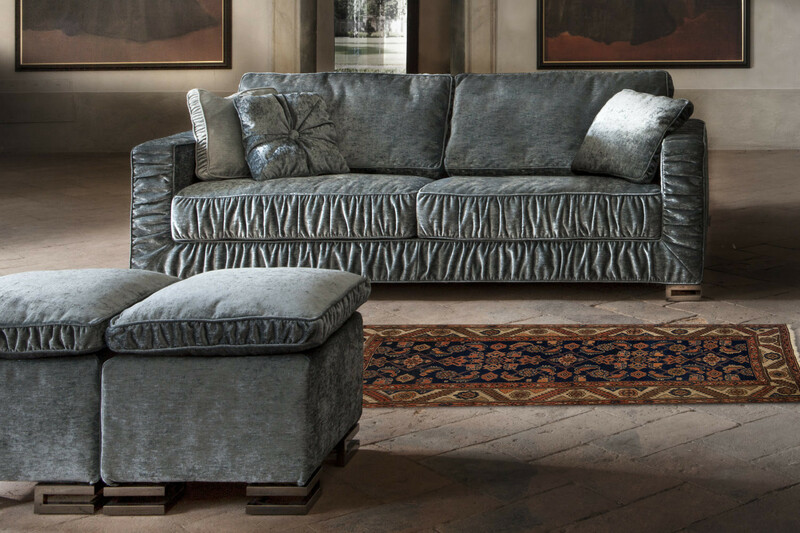 Garrison is available in two models: Garrison with cushion with creased edge, or Garrison 2 with cushion with tight edge. Garrison ottoman is available in fabric, leather and eco-leather, in all the colours displayed in the Milano Bedding samples page. Its cover is completely removable. 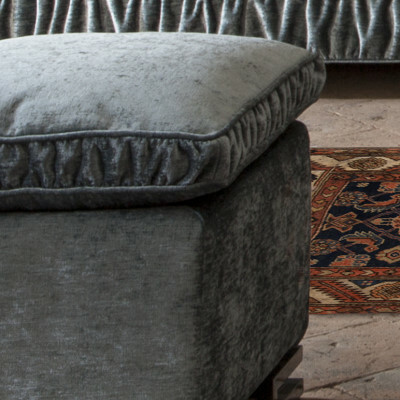 The cushion piping is available matching or contrasting the rest of the cover. 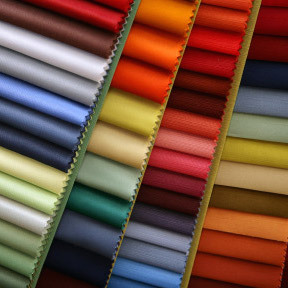 The colour can be chosen among the ones available for the same category selected for the ottoman. 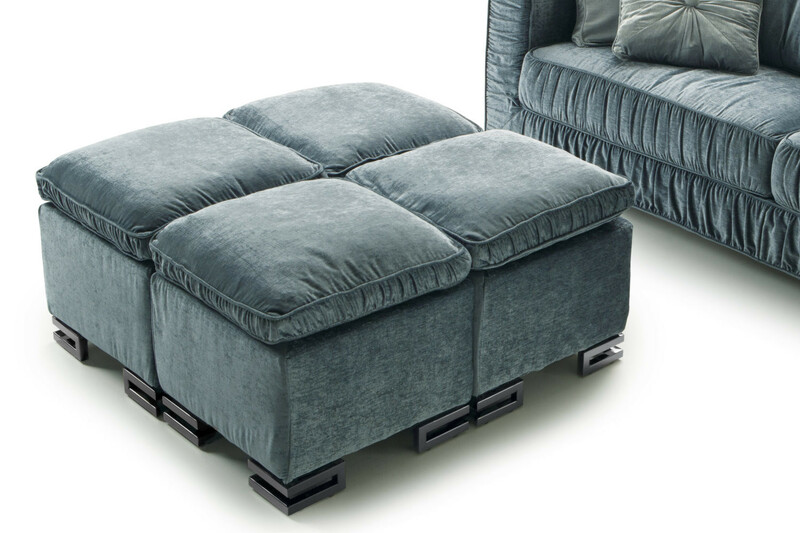 Garrison ottoman feet are available in black chromed metal or wengè painted wood.